The ductwork serves important purposes – it carries air through the building and it clears it away once it has been used. It also facilitates the air conditioning systems' operation, making it possible to control the temperature throughout the structure. Unfortunately, due to their hard to reach location, ducts serve as the perfect home for rodents and pests. They also attract dust and dirt that often accumulate and create blockages. Leaves and other debris can also join the party and cause quite a headache. Air Duct Cleaning Pearland provides expert cleaning services throughout the area. We specialize in sending over teams that make little fuss, but a great difference. 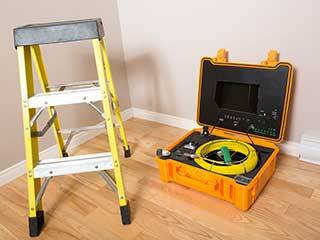 Our fully equipped technicians can reach practically anywhere and everywhere. From accessible, visible vents to the farthest parts of the ductwork, nothing will stand in the way of their cleaning instruments and materials – their very own WMDs – Weapons of Mass Decontamination. Once our crew arrives at your house to take care of your ducts and give them a decent scrubbing, they will start by assessing the situation – where are the vents? Are there any other openings? Are some ducts broken or in a delicate state? Are there any notable problems? Is there anything preventing their access that needs to be cleared out of the way first? Once all of these questions have been answered they will formulate a thorough and effective plan of action and let you know what the plan is. As soon as you okay it, the work will begin and all dust, dirt, rodents, debris and other mess will be thoroughly relocated and welcomed to start a new life elsewhere. Our proficient technicians don’t just provide a single service and leave it at that, on the contrary, they provide the most extensive range of cleaning services you'll ever need. From duct cleaning to dryer vent cleaning – there's nothing we can't solve or do. For any cleaning related service or solution, contact us right away.